Mobile app use has become part and parcel in nearly every aspect of our lives. In fact, in 2015, iOS devices alone accounted for over 25 BILLION downloads. This trend is undoubtedly expected to continue as startups in Silicon Valley and large corporations alike gather around whiteboards, crafting blueprints for the next big app that will serve to feed our insatiable appetite for mobile dependency. The healthcare industry is no exception, with well over 50,000 apps in circulation. While a recent study done by the IMS Institute shows that the majority of these apps offer limited amount of dynamic collaboration between patient and provider, the trend is pointing towards major changes. How Is Mobile Technology Impacting Practitioners? 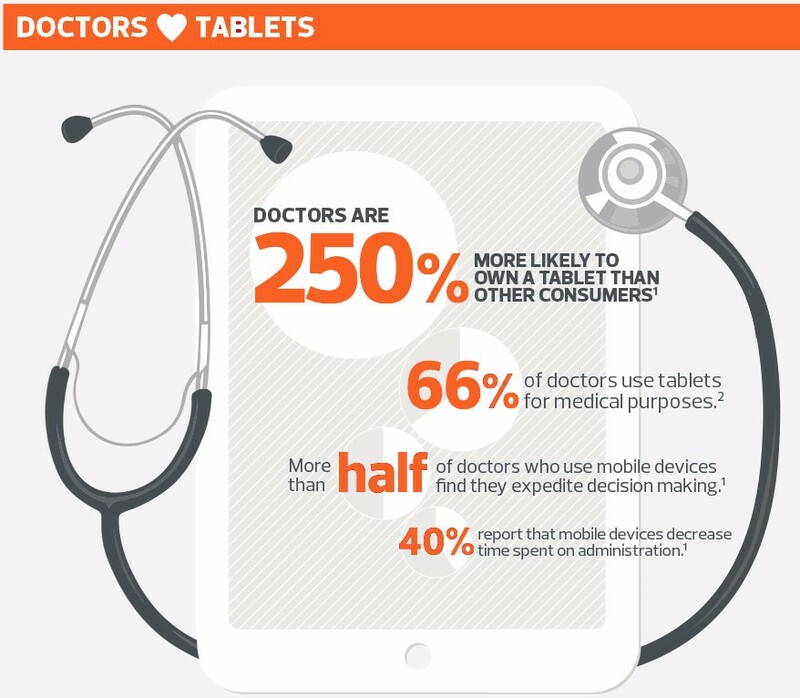 For one, doctors are 250% more likely to own a tablet than any other type of consumer, of which 66% of these doctors use these devices for medical purposes. An astounding 40% of doctors report that mobile devices decrease time spent on administration while over 50% of them find that their mobile devices expedite the decision making process. In an ideal mobile world, a Physical Therapist, for instance, would utilize an on-demand digital library app or website to better understand possible conditions and study various treatment techniques, all while engaging with a patient. Such apps will allow practitioners like Physical Therapists or Occupational Therapists to not only have access to real-time instructional training modules, but also continuing education on specific topics that may even lend to their state accreditation requirements. This means they will be true mobile-practitioners, doing everything on the move and on-demand, with confidence. Have Mobile Solutions Helped Rehab Facilities? There are still many challenges ahead to ensuring rehab facilities and practitioners alike meet compliance and continuing education requirements. Today, most of the mobile app tools in the market still lack the collaborative engagement capabilities needed in a hands-on field like Physical Therapy, and oftentimes the technology may be overwhelming to therapists. Therefore, practitioners still tend to shy away from complex technologies and will often opt for more “traditional” solutions, so providing an intuitive and interactive mobile-based education delivery system would encourage greater adoption. Practitioners want to be certain that a mobile app will be directly beneficial in improving their own skill set and their patient’s treatment experience. In addition to offering 800+ hours of mobile-ready video CE courses, CEU360 provides its large community of corporate and non-corporate clients with a self-paced reference mobile app, AssessmentPro®, giving Physical Therapists, Occupational Therapists, Athletic Trainers and RNs access to a proven mobile library containing hundreds of specific video-based assessment demonstrations they need, to be real-time experts in a fast-evolving healthcare climate. CEU360 has been resolute in also creating, with invaluable feedback from its corporate partners, a mobile-friendly learning management system (LMS) which provides a more centralized repository of every employee’s HR on-boarding, compliance, continuing education, all resulting in improved employee engagement and retention, which many facility executives admit is one of their greatest challenges, according to a study done by. Increasing staff time spent with patients. Eliminating dated education tracking models. Standardizing the HR on-boarding process for new hires. Giving patients a more proactive role in their recovery process. This is certainly a step in the right direction, and with more widespread proliferation of mobile smartphones in the hands of consumers and practitioners, the idea of mobilized therapy will become a mainstream supplement to effective healthcare treatment. In part 2 of our coverage on Healthcare Mobile App Trends, we will examine patient adoption of mobile apps and its impact on the practitioner-patient dynamic for participating in a Mobile Rehabilitation Program, designed to reduce recovery times for patients.